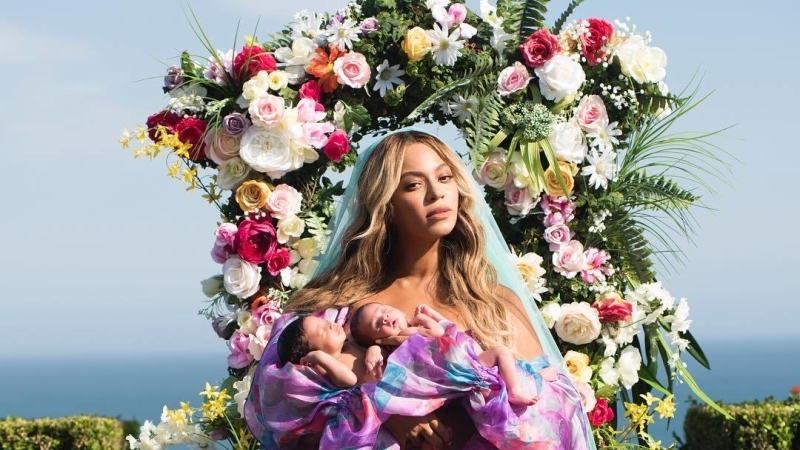 Beyoncé and JAY-Z have consciously chosen to keep photos of their twins off social media, save for Bey celebrating the one-month anniversary of their birth. Months after posting a gorgeous portrait of herself holding her babies—an image that broke Instagram's record for the app's most-liked-photo in history—paparazzi have finally captured Rumi and Sir on camera. In a series of images obtained by the DailyMail, Beyoncé, her mother Tina Knowles and a woman believed to be Jay's mom Gloria Carter were all captured, with each taking turns holding the now-5-month old twins and enjoying time together as a family. The Carter family is currently in Miami, Florida, where the photos were taken. Members of the #BeyHive have already taken to Twitter to discuss the situation, with many explaining they feel conflicted by the photos surfacing. For a full gallery of some of the first photos of the twins, see here.